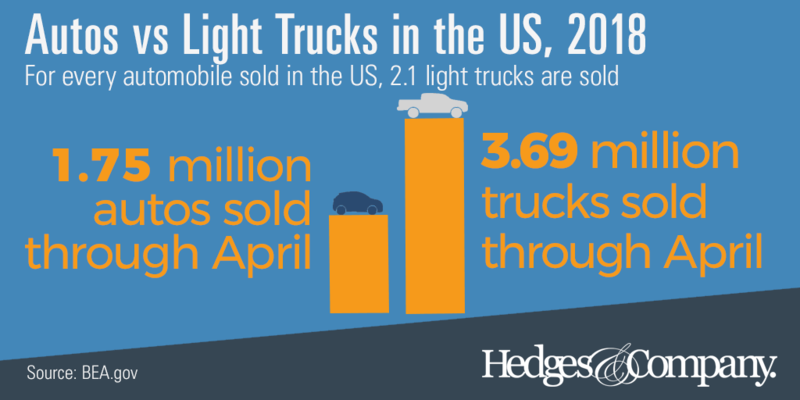 Light trucks in the US continue their upward growth, and are now beating cars by more than 2 to 1. 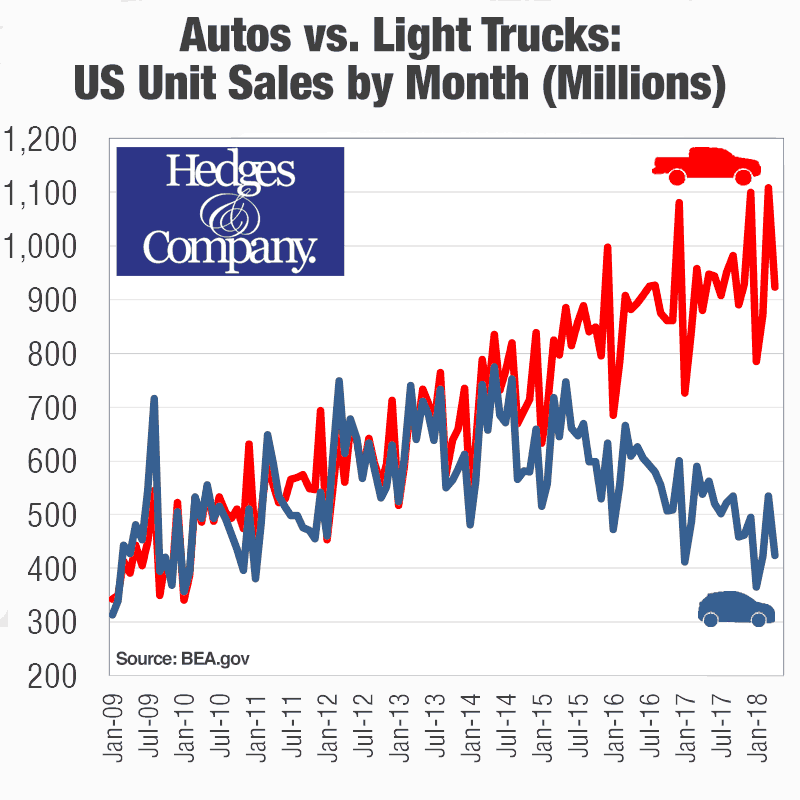 Through April 2018, 3.69 million light trucks were sold in the US according to the Bureau of Economic Analysis, compared to 1.75 million automobiles. That’s a ratio of 2:1.1 in favor of light trucks. In 2017 there were 6.08 million automobiles sold, compared to 11.05 million light trucks. Domestic trucks have been more or less holding their own against imports: in January 2017, 78% of light trucks were domestic, and in April 2018 that dropped only slightly to 77%. Light trucks hit an all-time monthly record of 1.109 million units in April 2018. The previous record was December 2017, at 1.10 million units, and before that it was 1.08 million units in December 2016. 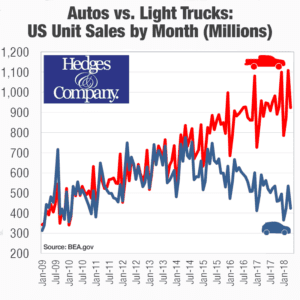 December is traditionally a strong month for light trucks, which has been a fairly consistent automotive industry trend over the past several years. You’ve undoubtedly read about Ford’s decision to eliminate most of their cars and looking at this data it shouldn’t be a surprise. Ford anticipates 90% of its portfolio in North America to consist of trucks, sport utility vehicles and commercial vehicles. Another important automotive industry trend is the increase in electric vehicle sales. These hybrids or electric vehicles can be battery electric (BEVs), plug-in hybrids (PHEVs) or gasoline/electric hybrids (HEVs). In 2017 there were only 377,000 battery electric vehicles in operation in the US. That will grow to 2 million BEVs in 2022. 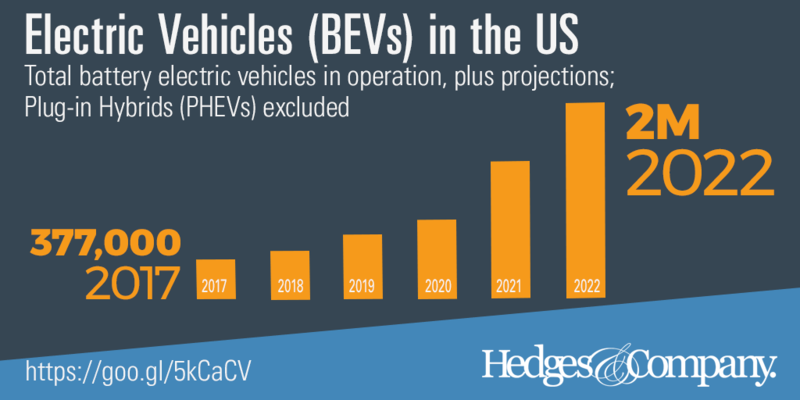 When you add in PHEVs and HEVs to that projection, the numbers increase by several million vehicles. The number of sport utility vehicles (SUVs) available as a hybrid model is growing and with consumers increasingly looking for hybrids, this can only help fuel the growth of light trucks vs. cars in the US. As of June 2018, there are at least 18 models of SUVs available as a hybrid, from Acura, BMW, Kia, Lexus, Toyota, Porsche, Infiniti, Mitsubishi, Mercedes-Benz and Volvo. All of these are classified as trucks. 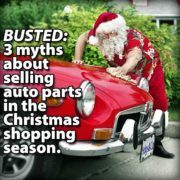 Trucks, SUVs and CUVs are considered to be “light trucks” at a Gross Vehicle Weight (GVW) of 14,000 pounds or less. 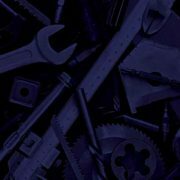 Medium and heavy-duty trucks are over 14,000 lbs. GVW.